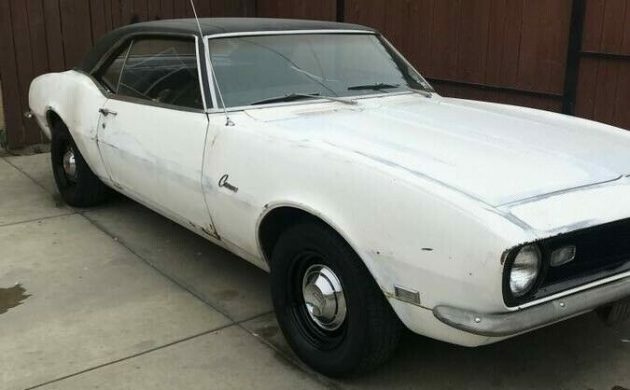 While it may sport its fair share of minor dings and dents, this 1968 Camaro looks like it is a solid car that would serve as a great foundation for a project. 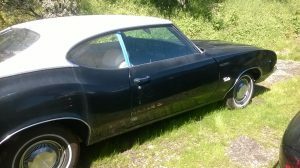 With little rust, and with the original engine under the hood, the new owner could choose to either restore the car or transform it into the Camaro of their dreams. 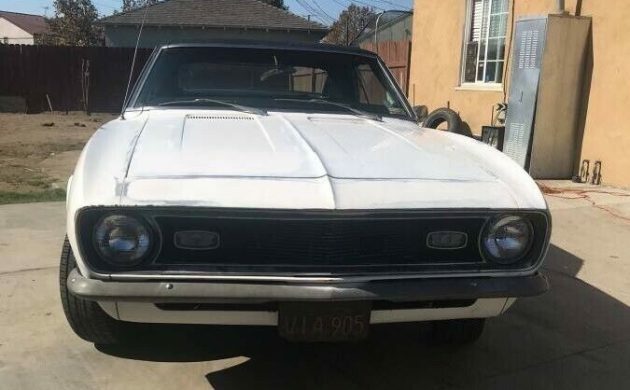 Located in Fresno, California, it is listed for sale here on eBay in a No Reserve auction. Photos for the Camaro are a bit sparse, but they tend to tell a fairly encouraging story. There is rust visible in the bottom corner of the passenger door, but the rest of the body, including the lower quarters and rockers, look to be quite clean. 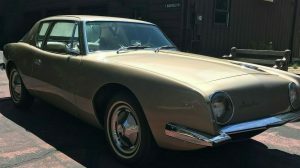 The owner also says that the floors and trunk are solid, which is not that surprising since the car has spent its entire life in California. The paint and external trim do look tired, but compared to being faced with the wholesale replacement of steel, fixing that is a piece of cake. There are no photos of the interior, so we don’t know how things look in there. Similarly, there are no engine shots. What we do know is that the car is still fitted with its original 327ci V8 and that this is backed by an automatic transmission. If that is original, then it would be the 2-speed Powerglide. The owner also doesn’t indicate if the engine runs, or if it does, how well it does. 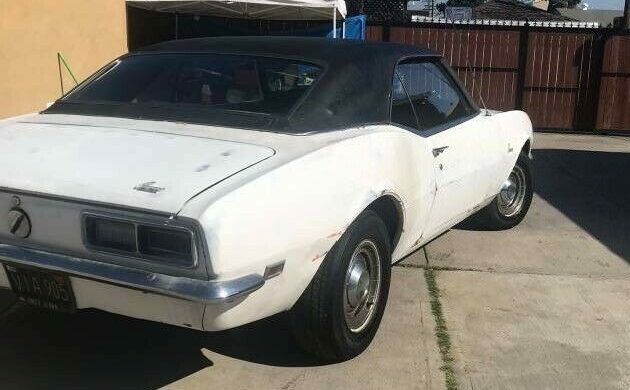 If this Camaro is a running, driving example, then it really is a solid candidate for a restoration. 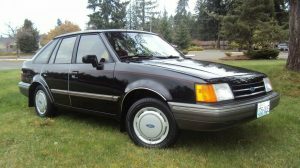 Even if it doesn’t actually run, then the general physical condition of the car as indicated by the owner still gives the new owner a solid base to work from. There doesn’t appear to be any major panel work to complete on the car, so even a simple repaint and general tidy-up would transform this into an attractive car. At the time of writing, bidding has reached $5,001, and bidding has been very spirited. With the potential of this Camaro, that’s really not surprising. It would be great to have interior and engine pics. Does it run/drive? 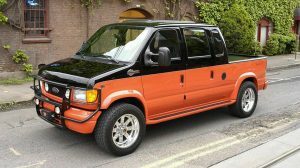 Although this car isn’t listed on EBay anymore, there are 99 others available. 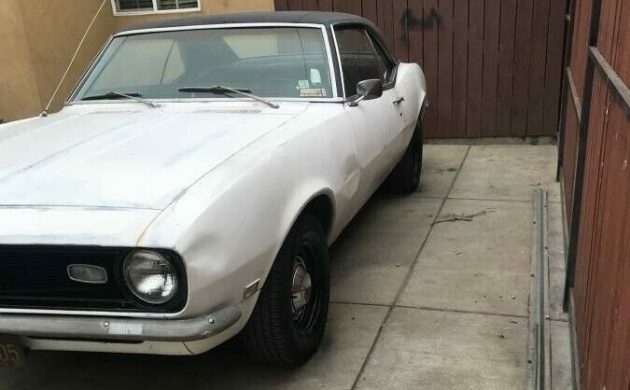 We all know how rare a 1968 Camaro is. Thanks Skid…..we must be part of the “watcher” growd….I like to see some as well. There’s a flipper in my parts….funny how he tries and tries to get top money for the little he pays – as we see the cars/trucks he buys listed before he takes them down from their asking price. He’s got a big spread and his finds are growing/taking root in the soil.